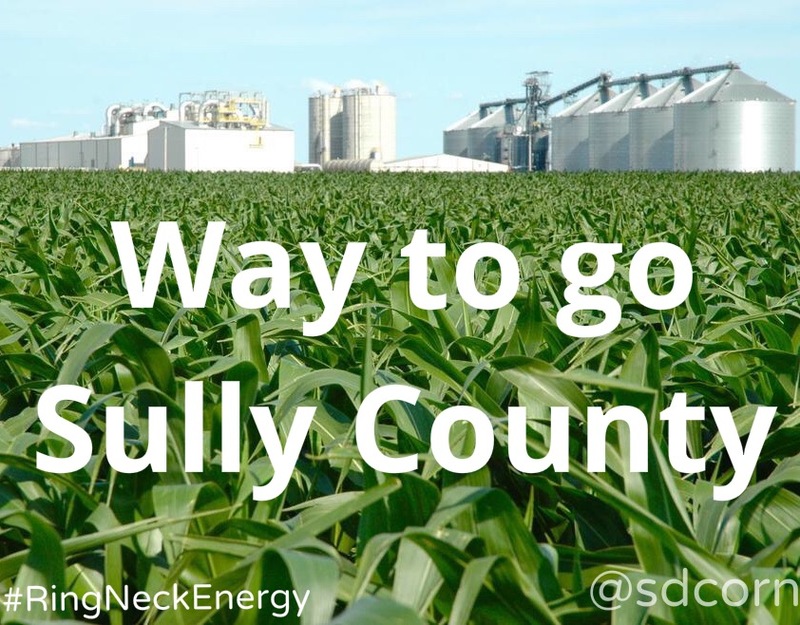 The people of Sully County, South Dakota have spoken loud and clear with last night’s election results showing overwhelming support for the zoning of the proposed Ring-Neck Energy ethanol plant to be built south of Onida. According to KCCR radio in Pierre, Sully County residents submitted 530 yes votes to 142 nay votes. A 62% voter turnout according to the Susan Lamb, Sully County auditor. The ethanol plant is expected to create 40 full-time jobs, consume 22 million bushels of local corn and produce 70 million gallons of clean-burning ethanol along with 200,000 metric tons of distillers grains aka high-protein livestock feed annually. Walter Wendland, president and CEO of Ring-Neck Energy and Feed shared the communities’ excitement with the Pierre Capital Journal. While there are more steps before construction begins, this vote sets the county on a path of long-term economic growth for generations to come. Way to go Sully County! This entry was posted in News and tagged ethanol, jobs, Onida, Ring-Neck Energy, South Dakota, Sully County.